If you are a keen photographer who can't miss a sunrise or are on holiday using a mobile phone camera, this guidebook will take you to the most beautiful and photogenic places in Scotland. 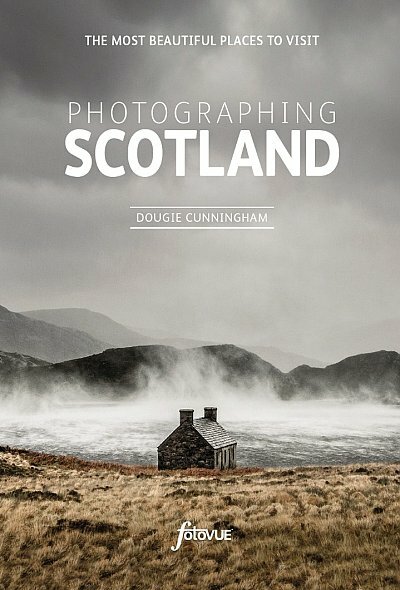 In this extensive photo-location and visitor guidebook, award winning Scottish photographer Dougie Cunningham explores and describes the most beautiful places in Scotland to visit and photograph. From Glencoe to Glen Torridon, Skye to Shetland, Callanish to Cairngorm, this guidebook reveals the islands and mountains, glens and lochs, rivers and coastline and visits ancient stone circles, fortified houses, medieval castles, crofts and peel towers. The classic views are included and many more lesser known and hidden gems amongst the Lowlands, Highlands and Islands of this spectacular country. Also included are photographic tours of Edinburgh and Glasgow, and a handy list of the best Scottish whiskey distilleries to visit. This book is divided into five sections LOWLANDS, EASTERN HIGHLANDS , WESTERN HIGHLANDS, WESTERN ISLES, Inner & Outer Hebrides, THE FAR NORTH, including the Orkney & Shetland Isles. - Has wide appeal to the 15 million people a year who visit Scotland. - Appeals both to the serious photographer and anyone with a camera/iPhone.